Note: after pulling this down I’m republishing it with apologies to POC. I was attending a camera launch, got POC’s PR and missed the detail in the email that the Ventral was embargoed. Now that the Ventral has launched, check it out. It looks light, fast, and breezy. POC launched the Ventral and it is promising to be light, fast, and breezy. The Ventral’s performance is built on four key areas; aerodynamics, ventilation, safety and weight, which when brought together in one package provide an uncompromising performance helmet designed to make all riders faster and safer. I’m interested because I’ve found aero helmets to be way too hot. The massive frontal air intakes and interior airflow of the Ventral creates superior ventilation and cooling which I’d expect will improve the overall performance of the helmet. The Venturi effect (used in breezy helmets for a decade or so) channels specific airflow inside the helmet to create precise pressure zones which increases air velocity and enhance cooling inside the helmet. The also massive exit ports at the rear of the helmet have been specifically designed to work with the channeled air, so the air is moving across your head, and out the back. 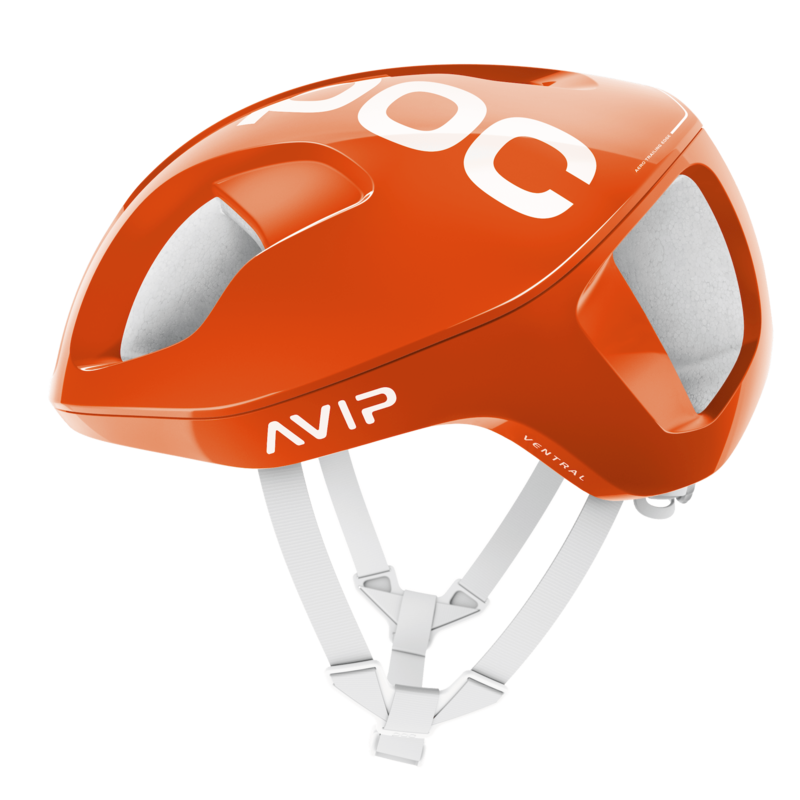 POC fits the Ventral with pads that sit directly against the user’s head and can shear in any direction, SPIN pads (like MIPS) allow the helmet to move relative to the head which can reduce the force transmitted to the brain during an oblique impact. The SPIN pads absorption sweat too. To what this helmet is about, the Ventral’s unique design and the precise size and angles of its frontal air intakes capture and lead air through the helmet, instead of around it. And, by doing so, the Ventral improves aerodynamics and reduces drag. Residual air flowing over and around the helmet is managed by a trailing edge at the back of the helmet, which reduces turbulence and maintains a linear airflow off the helmet and rider, improving the helmet and rider’s aerodynamic performance. It works just like the leading edge of the back of an aero road bike seat tube. I’m not going that fast these days, preferring to ride gravel and just for the fun of it, but those into high performance and racing should also be interested in the POC Ventral. The Ventral will be available to buy in stores and online this March for $290 USD. It weighs 248 grams in a medium size.